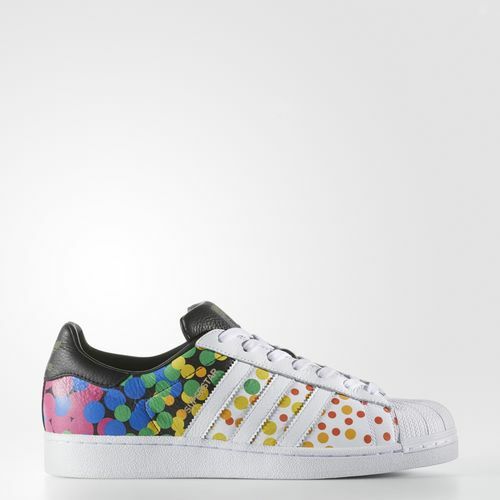 Buy LGBT Pride Gear from the USA - Adidas, Nike, Converse, Levi's and More! June is LGBT Pride month, and in celebration of the LGBT community and its history, several brands have been rolling out collections of LGBT Pride Gear. So, whether you’re in the market for something to wear to Pride or just looking to show your support to the LGBT community, check out these lines of LGBT Pride Gear from some awesome brands. Nike is offering some really cool products for Pride month, including several pairs of their running shoes with rainbow patterning. They’re also offering men’s and women’s tees with colorful slogans across the front that support the cause. 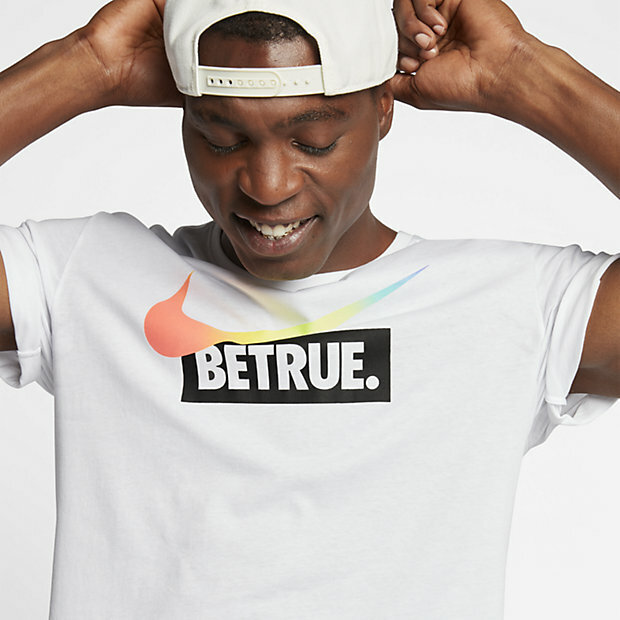 For LGBT Pride Gear that you can wear to the gym or out and about, check out Nike’s BETRUE collection. 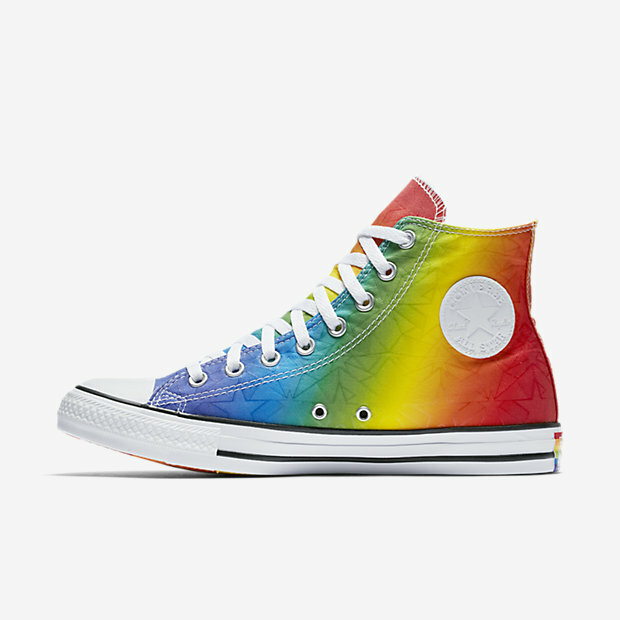 Also under the Nike heading is Converse, which has also produced its own line of LGBT Pride Gear. Converse is offering several tees in a variety of rainbow styles, but the shining star here is the rainbow pairs of their iconic chucks. There are several patterns to choose from to sport on your feet. Check out the Converse collection alongside the Nike collection. Adidas has three new pairs of original men’s sneakers for Pride month—including a rainbow pair of their Superstar style. Understated and functional, these shoes are great for all year long, but especially great for Pride. 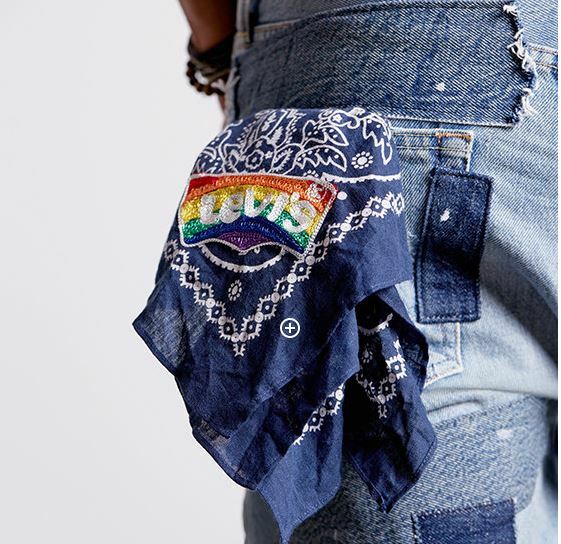 Levi’s has a long history of supporting the LGBT Pride movement, and this year has rolled out a huge selection of LGBT Pride Gear for the month of June. This year’s collection has special focus on raising awareness of stigma, and fighting it. Levi’s is offering tees, jeans, and accessories like a Pride flag pin and a rainbow bandana, and 100% of the proceeds are donated to the Harvey Milk Foundation and the Stonewall Community foundation. Check out their collection and get shopping! June may be coming to a close, but that doesn’t mean that you can’t sport LGBT Pride Gear all year long! Fill your cart with these Pride collections, and then come to Big Apple Buddy for your international shipping needs!